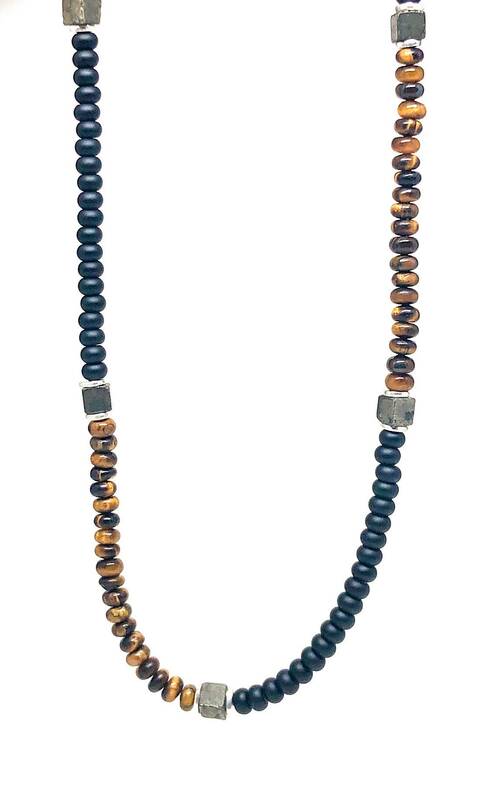 Men's necklace with Onyx, Tiger Eye, Copper Pyrite and Sterling Silver. 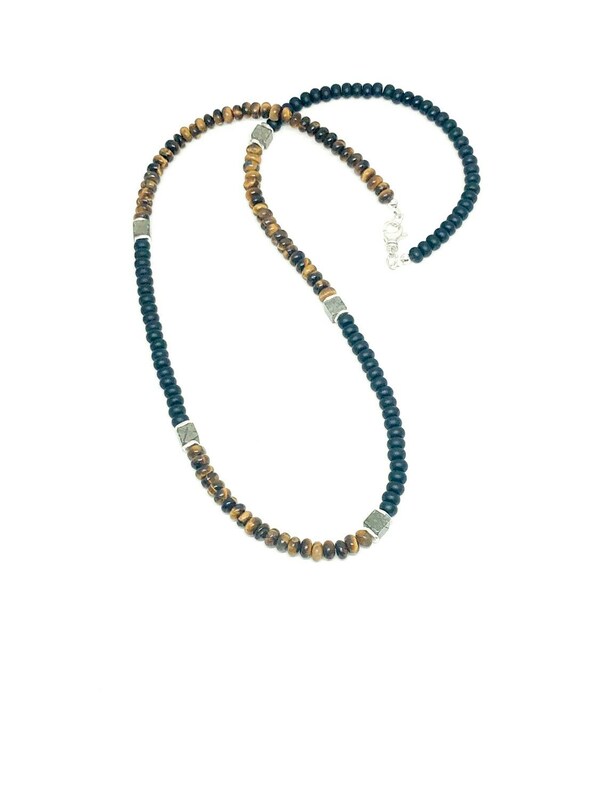 Men’s beaded necklace made with matte onyx 6x4mm, tiger eye 6x4mm, copper pyrite 6x6mm and sterling silver 5.9mm spacers. 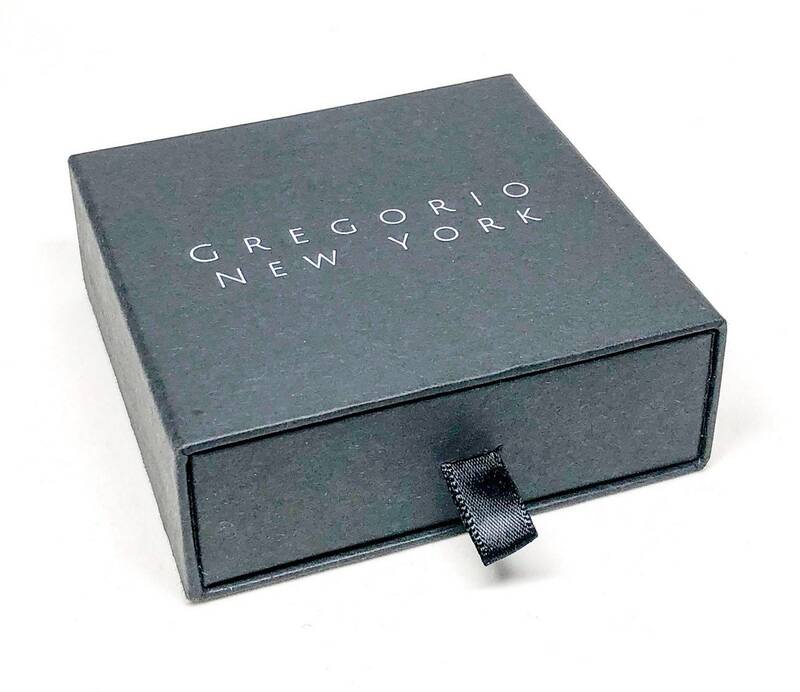 This necklace comes in a customized jewelry box with our logo.